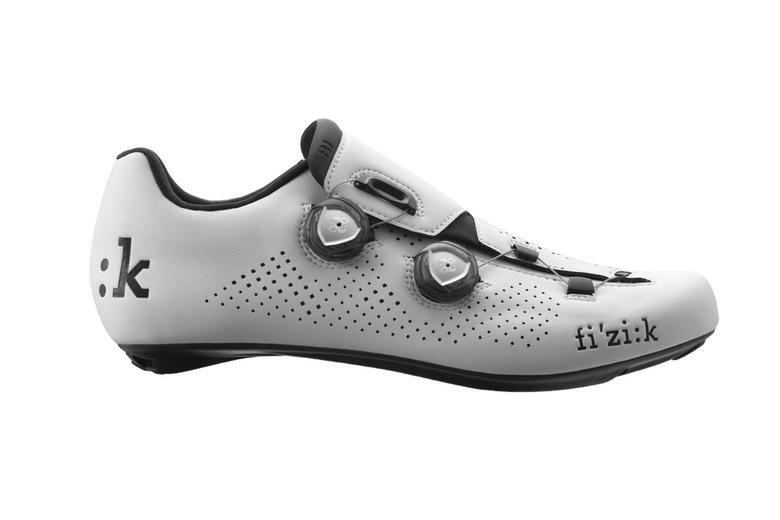 This is the new Fizik R1B. Developed in collaboration with leading professional cyclists, the new R1B is the optimum in performance cycling shoe design. But here, comfort is not an option - it's a standard part of the package. There is no compromise in materials, technology, design and manufacturing process, as the perfect blend is reached between stiffness, comfort and light weight, all balanced together for the very best in fit, power transfer and aerodynamic efficiency. Fizik shoes have always been stylish, previously featuring unusual premium materials such Olympic grade sail fabric and kangaroo leather, but it could be argued they were perhaps lacking a little in performance. With their latest designs making the move to the Boa closure system and focusing more intensely on performance we think they have really perfected the balance. The styling is still sleek and attractive in that classic Italian way, though the materials are now less prone to damage than before. We think the R1B Uomo looks to be a great option for those seeking high performance with extraordinary styling. The latest Boa IP1 closure system makes fi'zi:k's B series shoes lighter, faster and more comfortable. With the B series Fizik have harnessed the highly accurate tightening, immediate release and minimal weight of the latest four-point attachment IP1 Boa closure system. It's lighter, easier to use and less focused on closing pressure than a ratchet, with more accuracy and security than a Velcro strap. As you'd expect for a premium shoe, the weight is low, coming in at 227g (size 42.5).